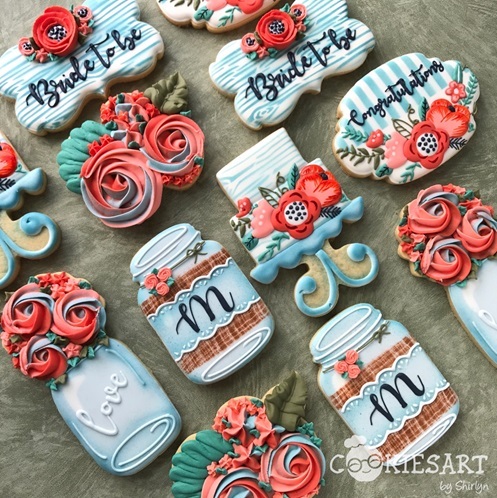 This is the bridal shower set that was inspired by the invitation card. Below is the partly scanned invitation card which I will use later for an image transfer. Let’s start with the Congratulations plaque cookie. 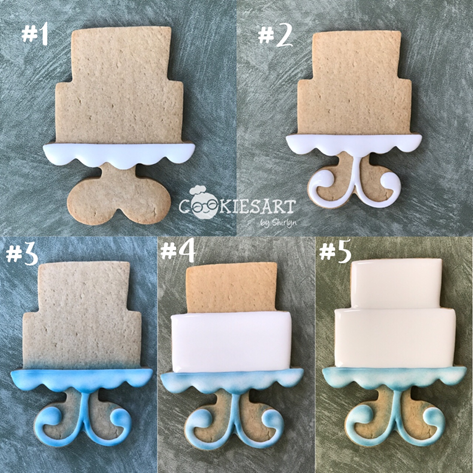 Step #1: Flood the plaque cookie and let it completely dry. 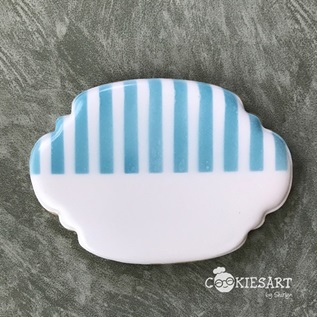 Step #2: Airbrush top half of the cookie with a stripe stencil. I used a plastic scraper as a blocker to block the bottom half of the cookie. You can use paper or anything that works. This is how it looks after airbrushed. Step #3: Using PICO projector for image transfer -- pipe the flowers (the scanned image from the invitation card) and let it set. Video above shows how I did image transfer using PICO projector. Step #4: Use paint brush with gel color thinned with vodka, add the details on the flowers and leaves. Step #5: Pipe “Congratulations” using PICO projector with thick RI consistency. 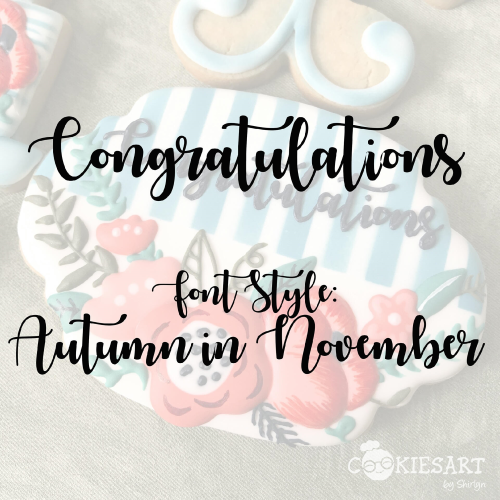 The font used is called "Autumn in November". Video above shows how I pipe the letters using PICO projector. 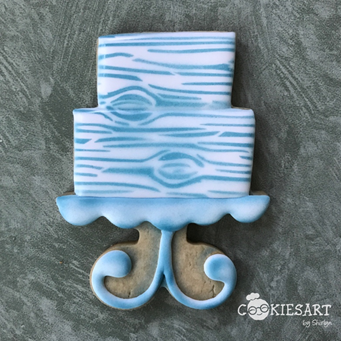 Next is the cake stand cookie. 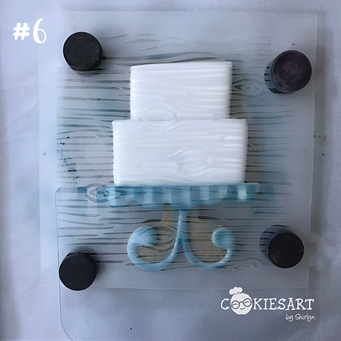 Step #1 and #2: Pipe cake stand as in picture and let it set. 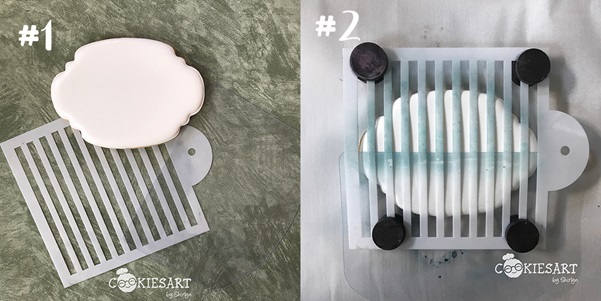 Step #3: Airbrush cake stand edge with any color you want. Here I am using Wedgewood color thinned with vodka. Step #4: Pipe cake’s lower layer and let it set. Step #5: Pipe cake’s top layer and let it set. Step #6: Airbrush with wood grain stencil using Wedgewood gel color thinned with vodka (or any airbrushed colors). Here I use a plastic scraper as a blocker to cover the cake stand part. You can use paper or anything else which can cover the stand part. This is how it looks like after airbrushed. 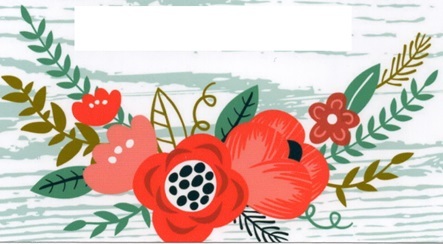 Step #7: Using PICO projector to do image transfer -- pipe the flowers (the scanned image from the invitation card). Step #8: Paint the final details for the flowers and leaves using paint brush and gel color thinned with vodka. We are done with these two designs! Hope you enjoyed my tutorial and the video guide. and see all her latest creations!!! Thank you so much Shirlyn!!! 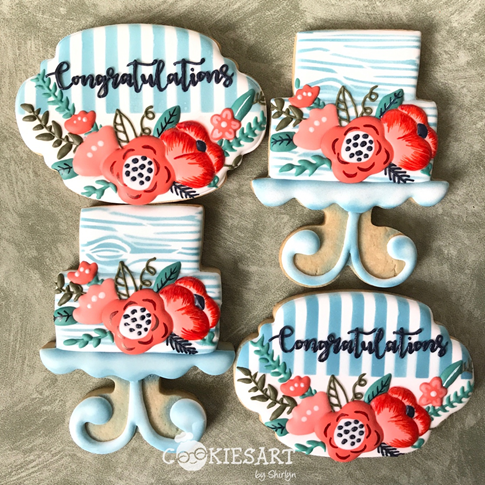 Get the supplies: Cake stand cutter, Congratulations plaque cutter, Stripe stencil, Woodgrain stencil, and Americolor Wedgewood food color.